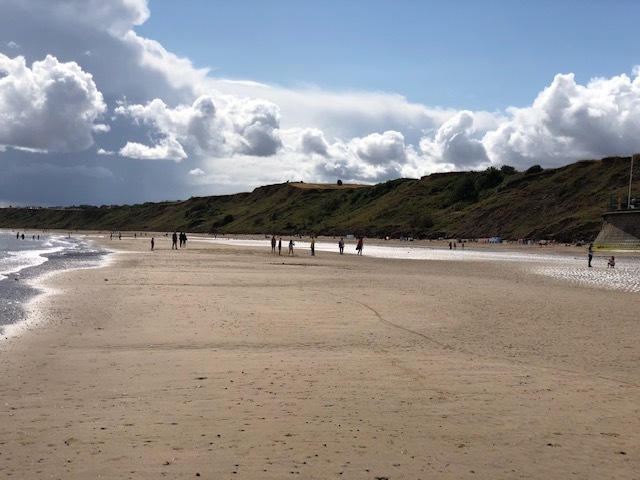 Filey is fighting back … after a retail decline and being in the shadows of Staithes and Whitby, the efforts of the folks at places like the White Lodge and the Downcliffe House and others have helped to pull in more attention. People such as Christopher Lee and his live music events have also helped … as did Filey getting its share of the Tour de Yorkshire. The accolade of best beach by The Sunday Times and the half-page spotlight by The Telegraph about its ‘stately pace’ and ‘gentle’ pace are are layers that are building up to enhance the town that hasn’t fallen victim to too much change.